At TSD we strive to achieve and maintain the very highest levels of service from our very first meeting, to long after installation is complete. We only install products of the highest quality and match that with our professional aftercare services. Below are the full testimonials from our clients sharing their experiences of using TSD. Thanks Christina. Just wanted to take this opportunity to say thanks so much for the support you give the estate, it’s very reassuring to know we can rely on our contractors. Tristan Security Doors were efficient from design to completion. They arrived on time for the survey and delivered the product that we agreed upon. The installers were helpful and polite, they cleaned up after thermselves and nothing was too much bother when asked. I would definitely be prepared to recommend them and will be using their services again for similar projects. 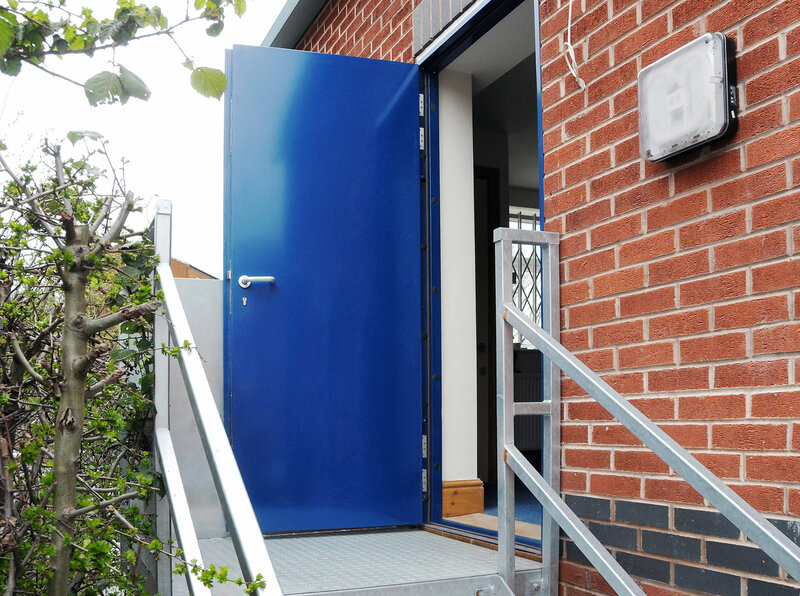 Tristan Doors are always reliable, honest, trustworthy and straightforward to deal with. I always go to Tristan first as their service is something that I can rely on. I found TSD on the internet [one of five firms I contacted]: not a very auspicious start. My first contact started to change my view: they were very interested in what I wanted to do [I wanted to build a secure cage around 2 parking bays, with the entry via roller doors], and worked with me to develop an appropriate and cost effective approach. When they came back with an estimate it was clear they were on the button. They insisted on a site visit to assess the adequacy of the proposed solution and to provide a fixed quote. Installation also went well: the quality of the fitting/workmanship was good, they kept to timescales and were good to have around. Would I recommend them to someone else? Yes, absolutely. They have done an excellent job, at a fair price, and have been great to deal/work with. What more could I (or anyone else) ask. They have also supported me well in the 17 months since the work was completed and paid for. I have found working with Tristan Steel Doors an absolute dream both contractually and the final product. I am very pleased with the collapsible steel gates I had installed by Paul and Jerome of Tristan Steel Doors. The pre-sales support was excellent and ensured my questions were answered, which was particularly important to me as I had never bought gates previously and wasn’t sure what I wanted or needed. And the installation was better than I expected with the team arriving early in the day and working non-stop until early evening. I feel much more secure now having this collapsible steel gate system as it’s tested and approved to Level 1. Couldn’t ask for anything better! I just wanted to thank Paul Benjamin of TSD, who undertook the installation last week. His professional approach and expertise was very evident from the work he carried out and he is a credit to your company, who I have already recommended, (because of his work) to a number of friends.